Although not as popular as the other seasons, winter can be a great time to have a wedding. 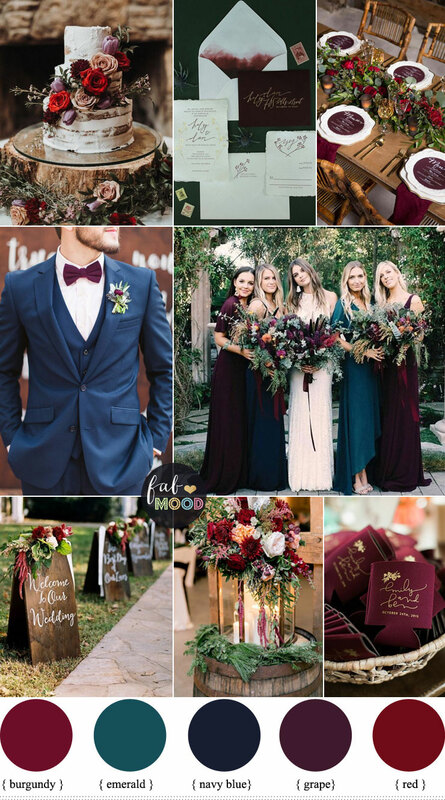 Today we’re excited to share our rustic winter colour board especially for barn wedding or a snowy mountain wedding! Get ready to get a winter cozy feeling because this amazing rustic winter wedding will have you ready to plan your own cozy winter celebration! It may be cold outside but it’s a warm and welcoming celebration. 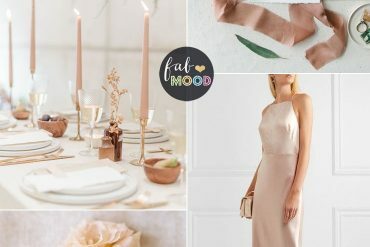 We have this cozy shades of neutral that goes by the name, Warm taupe ( 1 in top 10 Pantone Fall 2016 ) Perfect for a Winter wedding, We suggest pairing Warm taupe with cozy colours like camel, beaver , brown and Iced Coffee ( 1 in top 10 Pantone Spring 2016 ) Here’s how to use it! 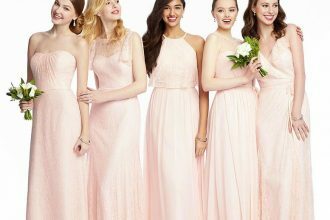 Winter wedding dress : Consider winter wedding dresses made of heavier silks and satins satins can only serve to keep a bride warm on her big day, as well as looking great. Search for shades of neutral cashmere wraps, faux fur , scarves, gloves to highlight the dress as well as to keep you warm practically. 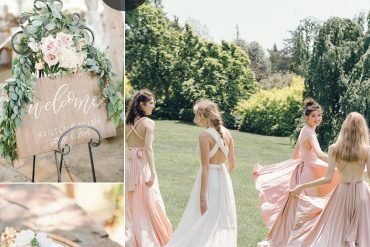 Bridal Hairstyle : We suggest the messy bun because it is very easy to do and its style is able to project a look blending both cheery and glam. All you have to do is pull your hair up into a bun, loosen it up and let some hair fall down on the sides. For those with straight hair, after creating a loose bun put some curling on the fallen hair at the sides for that classic messy bun hairstyle. 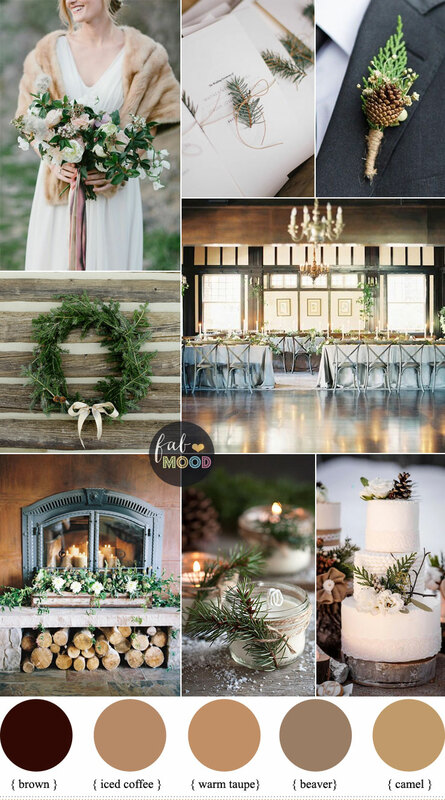 Rustic winter wedding decorations : Take advantage natural elements that you can see outside such as pine cones, mistletoe, holly leaves, poinsettia, berries, evergreen, eucalyptus and ivy. We love this classic evergreen wreath! Traditional, minimalist, and beautiful, this awesome winter wreath is the perfect way to utilize those trimmings from your tree! 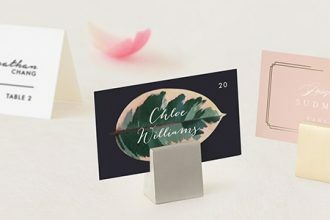 Wedding favors : Think about your favors. There are great seasonal favors to give at this time of year. For one try giving scented gifts such as pine-scented candles. Candles are especially great gifts for dark night when more warm and intimate lighting is needed.